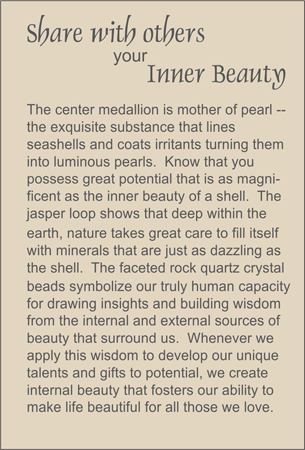 MEDALLION: Mother of pearl round shaped medallion from a black lip shell. ACCENTS: Rock quartz crystal twist beads. COMMENTS: This mother of pearl comes from the family of shells that produce black Tahitian pearls.